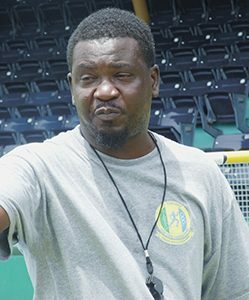 Athletics coach Pamenos Ballantyne feels that athletes under his care are being victimized by Team Athletics Saint Vincent and the Grenadines (TASVG), the body that governs athletics here. 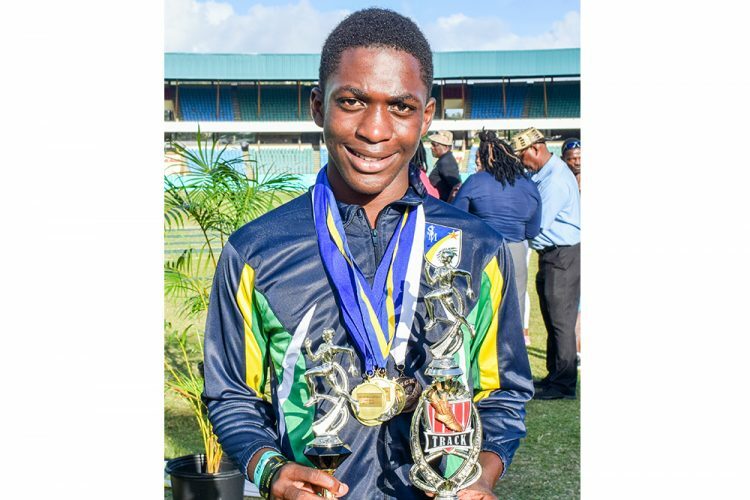 Ballantyne’s latest upset is because Kyle Lawrence, an athlete of the St Martin’s Secondary School (SMSS) was left out of a group that travelled to Barbados and Grenada recently to take part in athletics competitions in those countries. Ballantyne, who is the physical education teacher at the SMSS, said Lawrence is the number one sprinter in the under-17 category here, and recently, he won the 100 and 200 metre races in a development meet and also at the CARIFTA trials. “It have people who coming third and fourth and fifth and Kyle was left out. I think it is because he is training with me, and me and Keith Joseph them ain’t friends, straight plain talk,” Ballantyne said. Keith Joseph has been the head of TASVG for over 30 years. But Rawlson Morgan, an executive member of TASVG says that Ballantyne is not being honest with his accusations and that his latest rant in relation to the meet in Grenada was uncalled for. 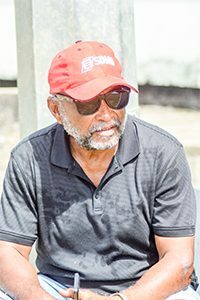 He told SEARCHLIGHT that the only affiliation that TASVG had with the Grenada meet is that they sanctioned the teams, but the athletes were picked by their individual clubs which operate independently of TASVG. The athletes sent to Barbados were chosen by TASVG. 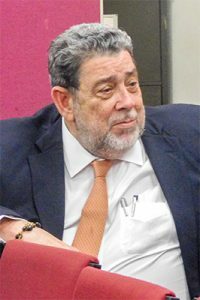 The allegation of victimization was brought to the fore on March 11 by an unlikely person in an unlikely place — Prime Minister Dr Ralph Gonsalves in the House of Assembly. The Prime Minister congratulated Lawrence, who eventually made his way to Grenada and won both the 100 and 200 metre races. Gonsalves said that at about midday on March 8, he was informed by the Minister of Sports Cecil McKie and the Minister of Health Luke Browne that Lawrence, an exceptional athlete, was not chosen for the Grenada team. “I couldn’t understand. When I sought an explanation, I got stories. I made a couple calls…coaches involvement and bureaucrats in sports involvement and petit jealousies and so on,” said Gonsalves. The Prime Minister said that he could not believe some of the things he heard, but he took the representation from McKie and Browne seriously enough to organize for Lawrence to get a ticket to go to Grenada. “There was no time for us to organize money through the government to give him, so … I put my hand in my pocket to provide to send money with the honourable Minister of Health to the young man’s family so the couple of days there he would be taken care of,” the Prime Minister said in the House. He added that this country cannot allow their public policy on sports at a national level to be overshadowed by petit jealousies. “If in fact what was reported to me is correct…there has to be some transparency and accountability in these matters and I believe that one is faced with the defence that government has to stay out of these things and of course, government has to stay out of these things, but government is not blind and we all here in the Parliament are not blind,” said Gonsalves. He noted that he was assured that in meets like the one in Grenada, independent entries were allowed and one of the coaches had made an independent entry for Lawrence. Lawrence was entered by Michael “Lord have Mercy” Ollivierre, another coach who also works with him. “I hope we have some answers from those who are responsible. I just put the story how it is and how I got it,” said the Prime Minister. Coach Ballantyne said that two years ago, Lawrence was victor ludorum and junior champ at the annual inter secondary schools sports meet and a month after he won those titles, there was an overseas meet and athletes he beat in the local championships were selected, but he was not. “It was not until I started making noise that they sent him, and he won the 100 m and 200 m and broke the records in 2017,” Ballantyne said. “Now again is the same stupidness going on and Kyle is the most promising sprinter we have. Any athlete come from St Martin’s, they are the last to get selected, and I will say this clearly,” Ballantyne added. But Morgan said that Ballantyne is being untruthful and no one, including the Prime Minister has ever called to ask about the Lawrence issue. Morgan said besides the fact that TASVG had nothing to do with the sports meet in Grenada, Lawrence was sent with the team in 2017 so he has no idea what Ballantyne is getting at. He said that Ballantyne and Lawrence’s father are saying certain things but there was an athlete in 2017 who beat Lawrence and he was not selected for any national teams. “A youth man who train with me beat him and he was ever selected, and I never make a noise because I am the kind of person to say if you do not make a national team you have to try harder the next time around,” said Morgan. 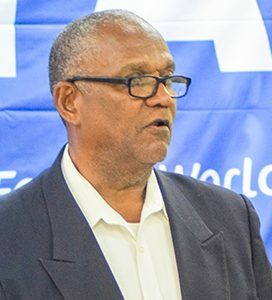 Morgan said that he does not have control over who TASVG picks for national representation, because although he is on the executive committee he is not part of the selection committee. He added that TASVG has a policy where athletes have to attend a certain number of mini meets in order to make a national team and Lawrence did not attend any of these meets in 2019. “It was after I talk to Kyle, he turned up the next mini meet the next Saturday. 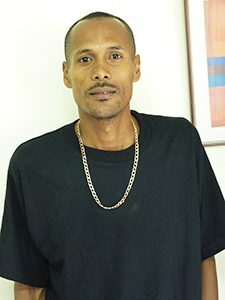 Kyle has not been turning up to the mini meets, but he turned up for the CARIFTA trial and when we had the relay classic, but different to that, the only mini meet, he turned up was that Saturday,” Morgan said, while adding that Lawrence is not the only athlete that has not been turning up to the meets. Morgan said that he has already informed Joseph that some the county’s best athletes are not coming to the mini meets. He said that Ballantyne is spreading false information and the talk of discrimination is nonsense. Morgan said as he is not a part of the selection committee, he cannot say that non attendance at the mini meets is the only reason why athletes are not selected, but that may be one of the factors. Morgan said that Lawrence is not the only athlete who is doing well, but has not been selected, but the TASVG tries to share the “pie around” by choosing different athletes for different meets. Morgan said that the process of choosing athletes for national representation may not be perfect but in his opinion any selection process that is used will leave someone peeved.